in the majestic name of the LORD, his God; and they shall remain, for now his greatness shall reach to the ends of the earth; he shall be peace. O shepherd of Israel, hearken, from your throne upon the cherubim, shine forth. Rouse your power, and come to save us. These are offered according to the law. Then he says, “Behold, I come to do your will.” He takes away the first to establish the second. By this “will,” we have been consecrated through the offering of the body of Jesus Christ once for all. “Blessed are you among women, and blessed is the fruit of your womb. And how does this happen to me, that the mother of my Lord should come to me? We sometimes use the term coincidence when trying to explain events which turn out a certain way. For example, my mother and I were shopping the other day. A co-worker of my mother bumps into her while we were in the store shopping for the same item, and the co-worker says, “What a coincidence!” Yet, not all things are mere coincidence; they are events set in motion by God. Scripture is full of incidents being foretold by prophets; and these events being foretold are not coincidences by any means. It has been said that the prophet Micah lived 700 years before Christ, and Micah predicted that the Messiah would be born in Bethlehem. Then it turns out that Mary and Joseph were required to go to Bethlehem for the Roman census at the very time that Mary is to give birth… Coincidence??? No, not at all! It was all part of God’s plan, which we refer to as Providence. One of the many lessons God teaches us through the great event of Christmas is the power of his Providence. God’s Providence is a course of history, wisely and gently, but powerfully and securely without violating free will. Even though people make their own choices, God still is at work in this world, slowly setting things right; guiding a way to peace. Christmas was not THE beginning, but a NEW beginning for the relationship between God and humanity; so this is why the prophet Micah tells us in today’s First Reading that the Messiah, the Christ, will “be our peace.” I PERSONALLY would say that peace is synonymous with love and joy, which are two other aspects of the Advent season. I use the word aspect very loosely because peace is not just an aspect but also an action and emotion conveyed toward another person. We love somebody, and we spread joy among our neighbors. Because Christ is “our peace”, we have to strive to spread that peace no matter how hard it may be, especially during this time of terrorist attacks. It is easy to pass judgment and display hate toward people of one religion based upon a small number of radical individuals, but that is not what peace is about. But since we are preparing for Christmas, I want to use another example related to the time before Christmas. The “commercialism” of Christmas can be crazy, and peace is often forgotten at the shopping mall. We often take merchandise off the shelf and replace it with the peace we are supposed to share with others as we await Christmas. The “hot ticket item of the year” gets fought over, and sometimes stolen out of cars after being purchased because there were no more in the store. People get into fights over parking spaces or places in line at checkout. But putting peace on the shelf in place of the item to be purchased is not what Advent is about! OK, SO WHAT IS PEACE ALL ABOUT? WHAT IS ADVENT ALL ABOUT? 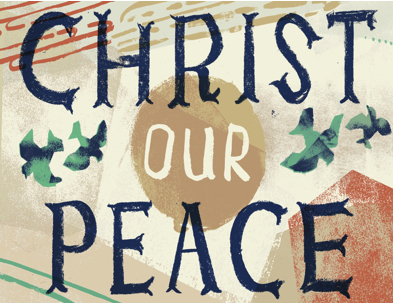 HOW ARE WE TO ‘SPREAD PEACE?’ HOW ARE WE TO PREPARE FOR ADVENT? ANSWER THESE QUESTIONS…..
How are you going to finish out this Advent Season as you prepare for Christmas? Are you going to react negatively to the terrorist? Are you going to get upset because what you wanted to buy is gone off the shelf? Or are you going to spread peace by helping others, smiling, or even wish someone an early “Merry Christmas”?